If you are wondering how millions of people are able to send and receive a free fax every day, then read on. 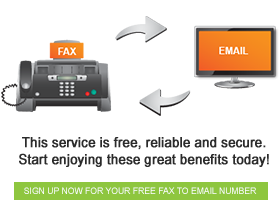 Fax to email technology has revolutionised the way the world communicates. It is a powerful way for companies to slash the costs of their business to business communications, and absolutely anyone can register for a free fax account. How does this technology work? Free fax technology works by using your Internet connection as the fax line, and your computer or mobile device as the fax machine. No longer do you need to keep your traditional fax machine stocked with expensive consumables, or pay for a dedicated fax line. Since there is no limit to the amount of fax to email accounts that you can register, you are welcome to register an account for each of your employees. They will no longer need to queue in line for a chance at the fax machine. In fact, they will be able to send and receive as many faxes as they need to, without even getting up from their desks. These are only a few of the many great ways that fax to email technology is helping businesses of all shapes and sizes to save money every day, while boosting productivity. Get more value for money and start communicating smartly, and turn your business into a paperless environment with state of the art fax to email technology today.